The risk-off trade came back with vengeance in the previous week, as trade concerns and global growth fears returned to haunt traders. More central banks turned dovish, alarming traders; growth forecasts were downwardly revised across Europe and fears that a trade deal will not be agreed increased. Global stocks experienced the worst week of the year so far, oil tumbled and flows into safe havens were on the up. We could expect to see more volatility this week as China returns from its week-long celebration of the Lunar New Year on top of plenty of data to watch, including growth figures from Germany. Brexit will remain in focus as Theresa May returns from Brussels as good as empty handed to face a vote in Parliament on Thursday. Funding for the US government runs out on Friday February 15. The collapse of talks over the weekend between US Democrats and Republican lawmakers have raised fears that another US government shutdown could be on us in days. Trade will also stay central stage as Steve Mnuchin and trade negotiator Robert Lighthizer are headed to Beijing for another round of trade talks. Asian markets were mixed in trade overnight as traders have plenty to be nervous about looking out across the week. Oil tumbled in early trade with WTI down over 1% and Brent not far behind shedding 0.8%. In addition to concerns over future demand, given the global growth slowdown, traders were also digesting increased supply figures. The number of US oil rigs operating increased for a second time in three weeks, according to the Baker Hughes rig count report. With 7 new rigs added the total hit 854. This points to a further increase in US production which is already at a record level. 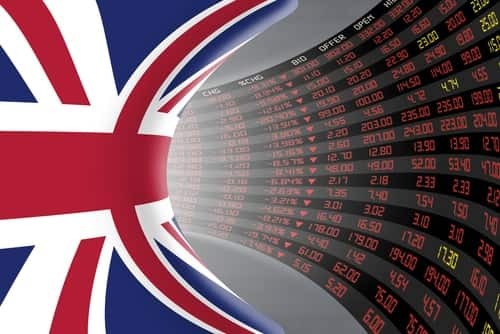 UK GDP to push GBP sub $1.29? The pound has had a tough run of late, dropping for a second straight week. We can expect more volatility across this week with high impacting data in the form of GDP and CPI readings, in addition to another Brexit vote in Parliament on Thursday. Kicking off with UK GDP this morning, the expectation is for economic growth to have completely stalled quarter on quarter. This comes just days after the BoE downwardly revised economic growth for the UK to just 1.2% across this year. The pound is trading lower early on Monday ahead of the data and we could see it move below $1.29 in the case of a surprise to the downside.